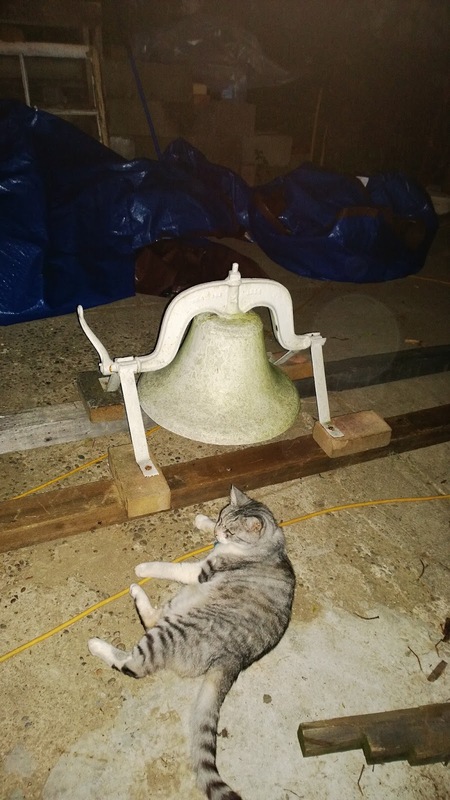 So today we drove to Arlington VA to pick up an 1886 school bell to hang in the bell tower of the schoolhouse. Although we know the original bell had been stolen decades ago, and was hanging in the front yard of a neighbor, they never came forward and we were unable to track them down. It's sad to be sure, but we were worried we wouldn't be able to install the bell after the building was completed, so we had to track another one down. 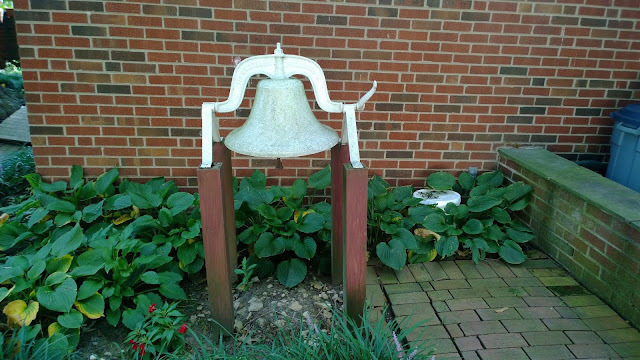 This bell is in wonderful shape, and although it's a few years newer than the school, which was built in 1875, it was cast the same year that our house was built in 1886. The family we purchased it from has some wonderful history with it, and may be sending us some documents about it which I'll share once I'm sure I have the details right. The road trip insured no house work got done today, but it was a beautiful drive, and reminded me of how much I miss magnolias, crepe myrtles and live oaks . . . Oh the trade offs we make for real seasons . . .